Get excited Power Rangers fans – the Official Power Morphicon convention is only four short months away! And while we were busy on our side having kids and not being diligent in keeping up with some of the news, they managed to do three separate announcements for guests attending the show! Included in those announcements was the rest of the main cast of Power Rangers Time Force! That’s right – for the first time at Power Morphicon, you can meet all six of the Power Rangers Time Force as well as the show’s main villain Ransik! If you haven’t registered yet for this year’s Official Power Morphicon convention, you can still do so by clicking here. We will obviously be at the show and we hope to see you there too! This looks to be one heck of a show!! An interesting new announcement from TVShowsOnDVD.com! 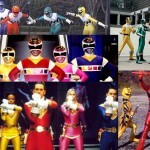 Power Rangers Lost Galaxy is receiving a complete series DVD release! The massive spaceship Terra Venture represents mankind’s greatest accomplishment. The giant spacecraft hosts multiple habitat domes with diverse environments ranging from a lake to a mountain range – even a dome with a sprawling city inside – as it takes thousands of human pioneers deep into space to settle a new world. Along the way they are stalked by dangerous aliens led by the insect-like villain Scorpius and his daughter Trakeena. Rising to protect the colony ship and its many inhabitants, a team of Power Rangers from different walks of life unites to become the Galaxy Rangers. While Lost Galaxy has been available thanks to the Shout! 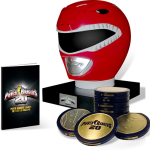 Factory Morphin Legacy boxset, this option will be much more affordable for casual fans- costing a mere 24.95 USD for five discs! 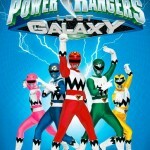 Power Rangers Lost Galaxy will be available March 10!